This is an optional M2C Racing Kyosho Inferno MP9 TKI3 Chassis. M2C tested and tweaked this chassis to provide racers with a top notch chassis that will perform very well on all surfaces, and will stand up to tracks with abrasive characteristics. 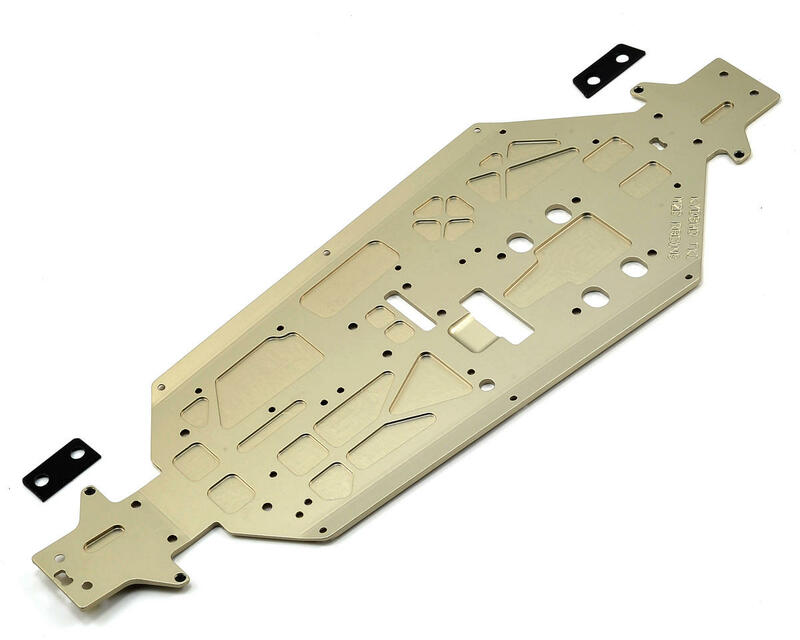 This chassis is machined from 1/8" thick (3.25mm) 7075 aircraft grade material and clear anodized with machined steel skid plate inserts that are recessed into the chassis. These skid plates fit flush to the bottom of the chassis and will not effect the droop settings or cause you to scrub speed on landings. The design delivers a much longer chassis life than other models as you can replace the steel skid plates and be back to a new chassis thickness. Due to the construction of the front lower suspension block, the front plate will be .015 below the chassis. Additionally, you can combine this with the M2C quick change engine mount (M2C2665) to virtually eliminate clutch bell strikes on the chassis. 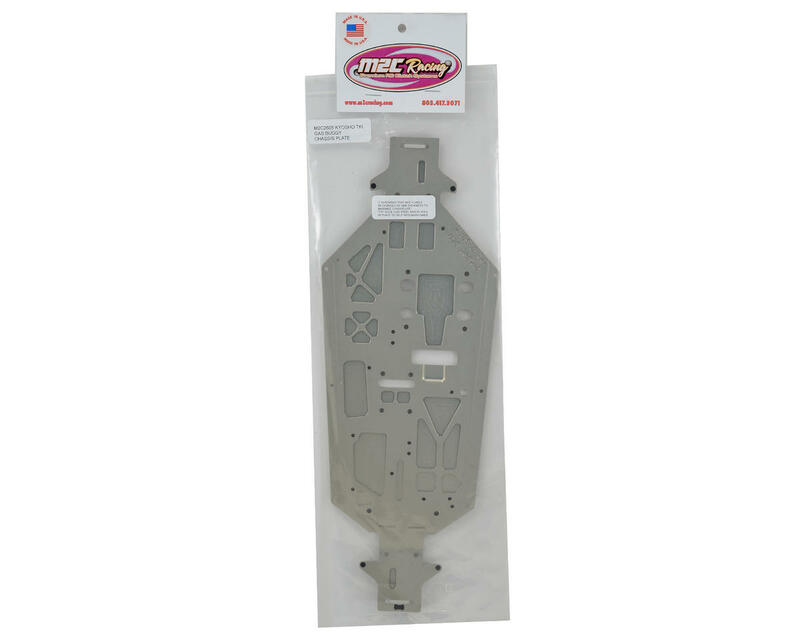 M2C recommends that you shoe goo the steel chassis plates to the chassis, as this will secure them to the chassis making it easier when removing the diff cases for maintenance. As nice quality as the option 7075 Kyosho chassis, but with better hardened steel downstop balls embedded into the chassis. Long lasting anodizing. This is my 3rd M2C chassis over the last few years of racing almost weekly. Stiffer than the stock 6065 but not as stiff as the 7075 Kyosho chassis. Great balance and cheaper than the Kyosho chassis. Excellent product! lighter, fine and flexible!